Once upon a time, younger unsigned and relatively unknown bands were able to go on tour with their heroes on what seemed like a regular basis. The model has changed these days with arena or stadium headlining bands often not even bringing an opening act with them, or the headlining act bringing fairly established or veteran bands with them (for example, Def Leppard taking Styx and Tesla with them a couple of years ago) or the relatively unknown opening act reportedly having to pay a high amount of money to the headliner for that opportunity. 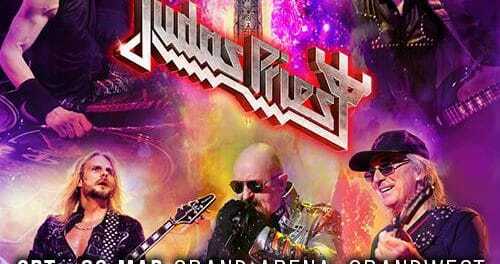 With respect to the latter, take for example The Raskins opening during Mötley Crüe‘s final tour a few years ago. 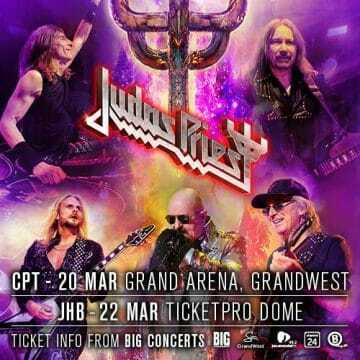 Veteran heavy metal rockers Judas Priest will be playing South Africa for the first time and have elected to give the opportunity to two younger “local” bands to open for them. L.A. Cobra are no strangers to Sleaze Roxx as their last album Shotgun Slinger finished at #4 on the Sleaze Roxx’s Top Ten Albums of 2017. War is the third single off the 2017 L.A. Cobra album, Shotgun Slinger. Shotgun Slinger is produced, mixed and mastered by Martin Sweet from Crashdiet, Sweet Creature, and Sister. Directed and filmed by Eugene Koekemoer Storyboard: Carel Willemse Starring Nastassja Smit, Berné van Rooyen, and L.A.